The television industry is notoriously quiet between Christmas and New Years but apparently, there’s still room for one more TV show cancellation. THR reports that the White Famous series has been cancelled after one season of 10 episodes. Airing on the Showtime premium cable channel, White Famous stars Pharoah, Utkarsh Ambudkar, Jacob Ming-Trent, Lonnie Chavis, and Cleopatra Coleman, with Jamie Foxx guest starring as himself. In the first season, Michael Rapaport, Stephen Tobolowsky, Jack Davenport, Kendrick Sampson, Lyndon Smith, Natalie Zea, and Meagan Good also guest star on the Showtime TV series. Inspired by Foxx’s early career, the story centers on a young, talented African-American comedian, Floyd Mooney (Pharoah). Floyd is on a serious professional upswing. His act is catching on so well, he’s starting to cross over. His fanbase is expanding so fast, he’s on the brink of becoming “white famous.” Now, Floyd faces a new challenge — maintaining his credibility without hindering the growth of his career. The comedy series drew very low ratings for Showtime and averaged a meager 0.09 rating in the 19-49 demographic with 263,000 viewers (live + same day). The series is one of Showtime’s lower-rated scripted series but is not the lowest. I’m Dying Up Here, which drew about half the live + same day ratings as White Famous, was renewed. The fate of low-rated Dice is still up in the air after two seasons. 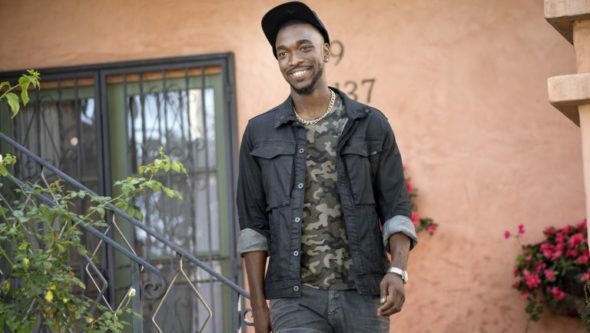 The defacto series finale of White Famous aired on December 10th. While there won’t be a second season for the comedy series, fans will be able to continue watching the 10 episodes on Showtime’s streaming platform. What do you think? Di you like the White Famous TV show? Do you think that it should have been cancelled by Showtime? I also agree this series was so much better than smilf.. Smilf is ok but did not have the comedy mixed in with emotion and passion that white famous brought the viewer . Plus I feel they have a better cast and have a higher ceiling through out seasons progression. Very disappointed they canceled this series. This was my new favorite tv show on showtime. This show was way better than SMILF which was given a second season. I am very disappointed.